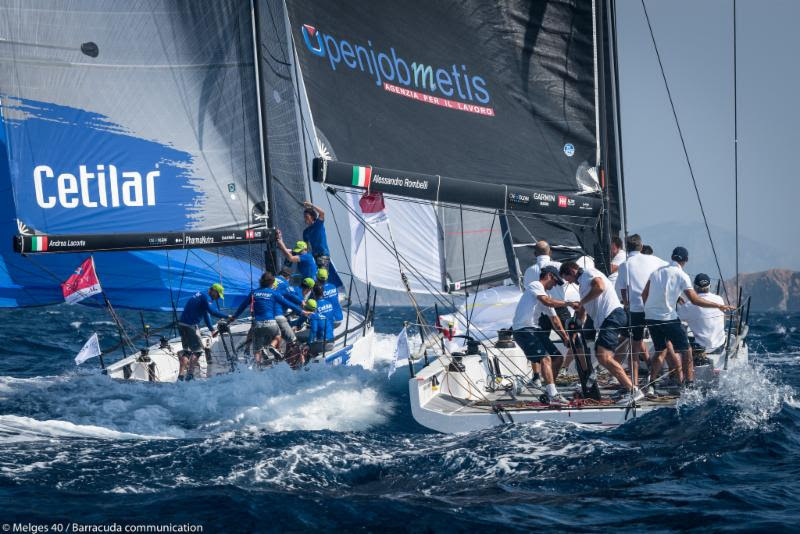 (31 July 2018 / Palma de Mallorca, Spain) - Melges 40 Grand Prix competition and rivalry picks up this weekend where it left off last in Porto Cervo to conduct the third event of the circuit, and for the very first time, participate as a guest of Copa del Rey Mapfre 2018, hosted by Real Club Nautico de Palma. 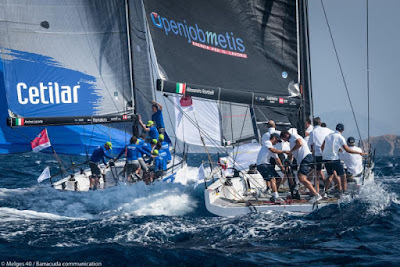 After the first event at PalmaVela, and most recently the One Ocean Melges 40 Grand Prix held in Porto Cervo, Italy (both events won by Sweden's Richard Goransson at the helm of INGA), the Melges 40 Class has proudly accepted an invitation from Real Club Nautico de Palma, the organizing authority for what is considered the most important and highly-anticipated multi-class regatta in the Mediterranean. Beginning on Wednesday, the Melges 40 will make its debut on the racecourse, an appearance that will mark the continuation of the 2018 season and circuit ranking. Copa del Rey Mapfre is the third and penultimate event on the Grand Prix calendar. It is clear that there are those who want and can change the standings (thanks to a very narrow points margin in the classification), but in order to do so, they must act now without hesitation. Goransson's INGA (Cameron Appleton, tactician) is indeed the top team thus far. However, as in true Melges 40 Grand Prix racing style, the winners will be determined in the final moments of the event - this will certainly be the case in Palma de Mallorca. In addition to Goransson, we can expect strong performances from Italy's Alessandro Rombelli aboard STIG (Francesco Bruni, tactician). As the winner of the 2017 circuit, he is re-asserting himself as the natural 2018 challenger. The same can be said for Andrea Lacorte's VITAMINA-CETILAR (Alberto Bolzan, tactician). In a very short period of time, he has achieved an excellent level of competitiveness and expects to deliver a very strong performance in Palma. Japan's Yukihiro Ishida aboard SIKON will also take part of the Copa del Rey Mapfre challenge. With Manu Weiller as tactician, he will aim to repeat his success as achieved in the final stage of the 2017 circuit. Ready to enter his name into the exclusive Melges 40 Grand Prix winners fold, Valentin Zavadnikov's DYNAMIQ-SYNERGY SAILING team (Kelvin Harrap, tactician) is more hungry than ever for a win in 2018, making Copa del Rey Mapfre the perfect opportunity for this team to seize the podium.